Consistent cash flow is one of the key heartbeats of an organisation. Credit control teams work tirelessly to ensure that a business adheres to its processes and procedures so that cash flow remains consistent and the cost of debt recovery is reduced. Unfortunately, this is a time consuming, error prone and costly process – how can this be improved so that your debtor repayment cycles are reduced? An order confirmation is automatically created and sent to the client on the receipt and input of a sales order within your accounting system. Internal checks ensure that the sales order contains a valid Purchase Order (PO) number. If no PO number is found an internal email is automatically triggered to the employee who processed the order, requesting them to find an associated PO reference. When the PO number has been added to the sales order an order confirmation will then be distributed. A payment reminder is scheduled before the invoice is due for payment or before a customer’s payment run eradicating the issue of misplaced or lost invoices and ensuring that it has been received by the customer. Early settlement discounts can be included within the payment reminder. 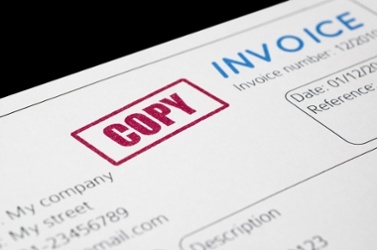 An overdue reminder notice is automatically created and distributed to the customer one week after the invoice due date triggering an automated notification to internal personnel stating that the client has been informed. A second, stronger overdue reminder notice is dynamically created and distributed two weeks after the overdue payment with an internal communication escalated to include key decision makers. The notice of additional penalties is automatically sent out three weeks after the invoice payment due date. This template notifies the customer that you will be applying penalties to the invoice total providing a deterrent for continuous late payers. This email can also be accompanied by an internal email to accounts personnel or even the customer account managers to prompt them to try to bring the account up to date. The notice of account suspension is automatically sent out four weeks after the invoice payment date. This template notifies the customer that their account will be suspended in the next seven days if full payment is not received. Internal personnel can be sent emails listing impending suspensions. So now that you know the 6 steps to credit control automation, how can you put it in place? The business process automation platform TaskCentre, provides the ability to automate credit control processes ensuring that procedures are adhered to, cash flow remains consistent and the cost of debt recovery is significantly reduced. TaskCentre users that have automated their credit control procedures claim that debtor repayment cycles have reduced by at least two weeks and the costs associated with this activity have been slashed by around 80-90%.